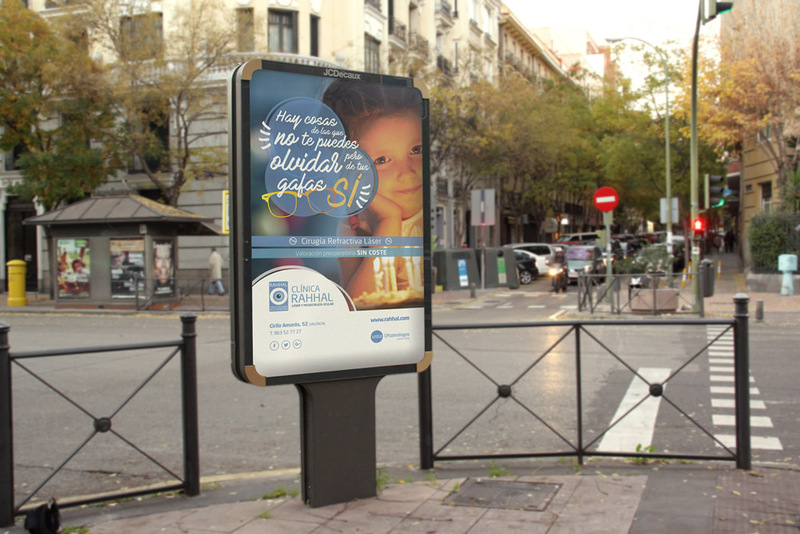 We managed Rahhal ophthalmic clinic’s street marketing campaign “There are things that you cannot forget, but your glasses you can”. Marquees, bus stops and the subway were the media elements used to spread the message of this campaign, which aimed to promote laser refractive surgery by giving value to those moments in life that cannot be forgotten, unlike glasses, which can be dispensed after the surgery in this clinic. The media elements that were best to spread the campaigns message were marquees around the city, bus and subway stops. The claim was that nobody should miss certain moments on life that are very important, but the glasses are something that you don´t need.